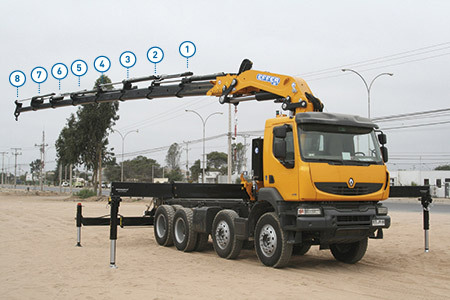 In the design stage of a truck-mounted crane, the element that more than others gives exceptional solutions is the second boom and the jib with the corresponding extensions. These components help to determine the crane performance in terms of boom length, working speed, lifting capacity, stress-resistance. 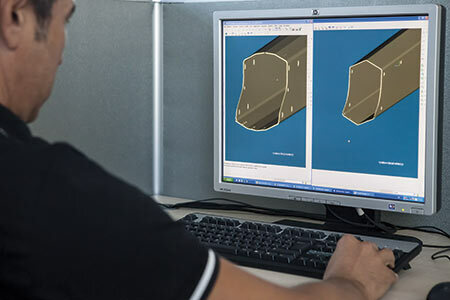 The experience of Effer designers made it possible to carry out a series of exceptional technical and production solutions. Maximum rigidity.  The second Effer boom is available in versions having up to 9 extensions. The structure has a decagonal or hexagonal geometrical section, according to the crane dimensions, to ensure maximum rigidity. All in one piece. 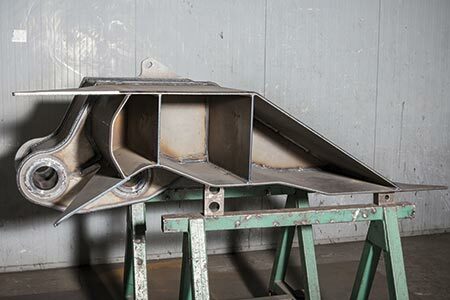 Moreover, the boom and extensions are manufactured using a single sheet metal folded in various points with one internal and external robotic welding. Maximum length. The second boom is coupled to the first boom laterally, not linearly. In this way you can achieve a very long outreach. Interior force. 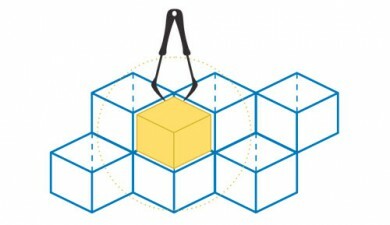 The support structure foresees a beehive shape with internal reinforcements. 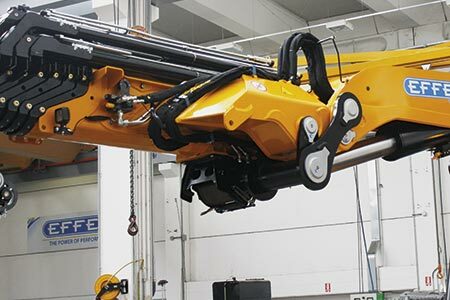 This solution ensures maximum working reliability and maximum performance of the crane even in extreme working conditions. Easy to disassemble. 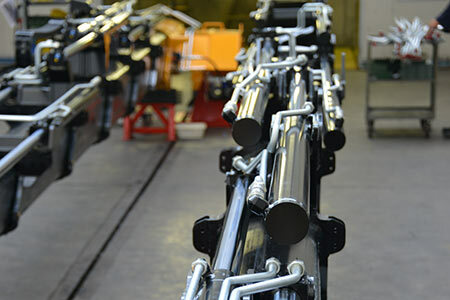 Effer has patented a new spring fastening for the extension cylinders. As there are no retaining screws, the cylinder can be disassembled without requiring specific tools, even after years of use, very easily. Always straight. Effer has designed a very advanced attachment for its extension cylinders. In this way they are not affected by the boom bending. The seals wear out less and last longer as they move inside a straight cylinder. Perfect balance. The cylinders are arranged symmetrically in relation to the boom line. Maximum balancing and perfect balance of extensions during output and return maneuvers are thus attained. Adjust the time. 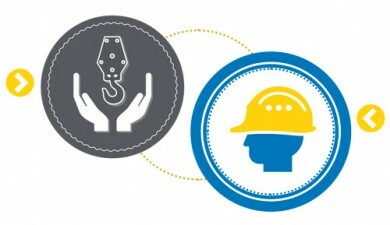 Effer uses (external) or fixed (internal) bronze adjustable pads to ensure maximum crane boom linearity over time. This valuable material is more resistant than synthetic materials, which are less effective and long-lasting if employed for the same purposes. Flexibility. Effer inserts various folds in the construction standard for the pipes of the cylinders hydraulic system. 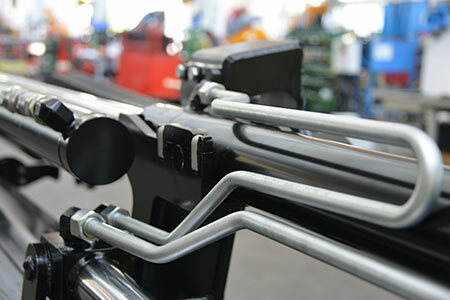 This way, the pipes react elastically to the strain due to the backlash of the crane’s components. Oil leaks and pipes breakages are thus avoided. The right capacity. 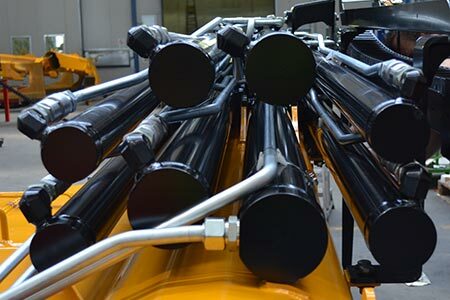 The considerable dimension of the pipes diameter reduces the pressure and temperature of the hydraulic fluid during work. Power dissipation is thus avoided. Moreover, a pipe with a greater diameter allows a high working speed right from the first maneuvers in cold climates. Unbeatable speed. 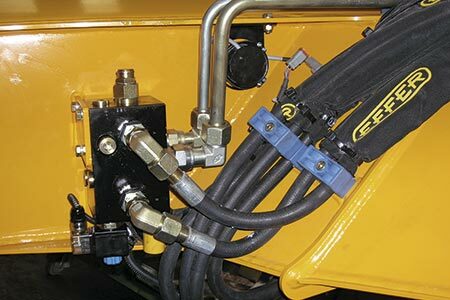 HSS – High Speed System, included in all models (except for some smaller models) stems from Effer’s extensive hydraulic experience. 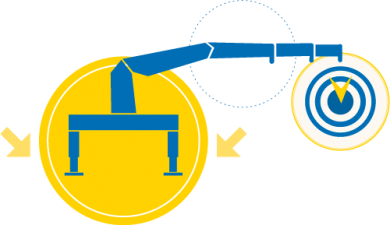 The system – which uses a regeneration valve – makes the extensions open more quickly, as it recovers the oil which would otherwise go into the tank. Safe load. Effer patented the Pro.Dec – Progressive Deceleration System which consists of end of stroke hydraulic shock absorbers inside the extension cylinders. With the Pro.Dec system, the transfer from one extension cylinder to the next takes place at a reduced speed, for opening and closure both. 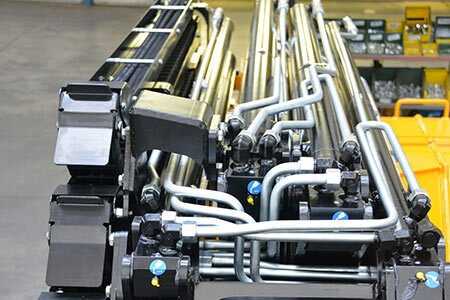 The system reduces load oscillation, making the work safer and more efficient. Sequence valves. 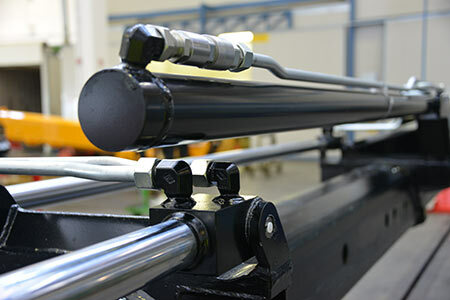 Effer, starting from smaller models of the range, uses hydraulic valves connected to the extension cylinders enabling the extensions to come out regularly and in sequence. Therefore, the boom structure becomes lighter, allowing you to take advantage of its greater power to handle the load. The right measure. Each extension cylinder is sized according to the extension to which it is connected. The right power for each extension is thus ensured and the sequential extension maneuvers are made easier. 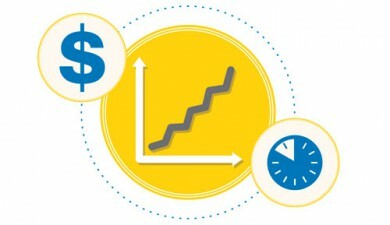 The High Speed System allows you to save up to 50% of your time each time an extension is extended. 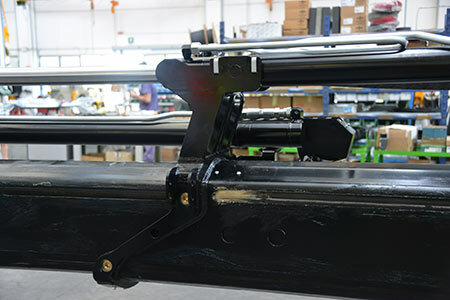 The extensions coming out in sequence enable the crane weight to be reduced, and preserve greater lifting power and greater loading capacity for transport, reducing the work time. The Pro.Dec braking system gives exceptional stability to the load handled by the crane. 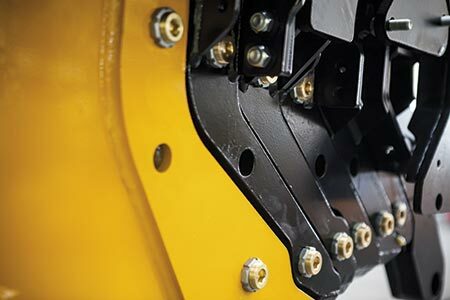 The bronze adjustable pads ensure maximum maneuvering precision, reducing the mechanical backlash of the boom elements. 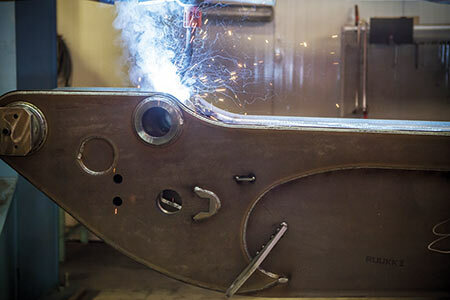 Since the booms and extensions are made with a single weld, resulting in more resistance to strain over time. The cylinder attachment on springs allows easy maintenance even after many years. The cylinder advanced attachment reduces strain and wear on seals. 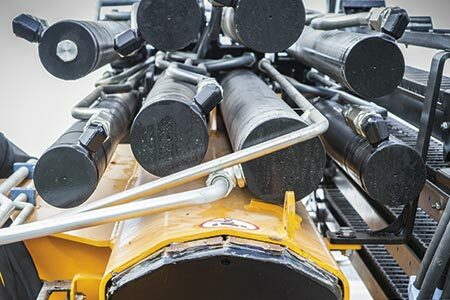 The presence of hydraulic pipes with many bends helps preserve maximum reliability over time even in case of mechanical backlash of the various components. The bronze side adjustable pads last longer. Il sistema Pro.Dec, controllando le manovre di entrata ed uscita degli sfili, rende più sicura la movimentazione del carico. La particolare sezione del braccio e la disposizione dei martinetti sfilo permettono di ottenere una lunghezza della gru al top tra le gru per autocarro. L’uscita in sequenza degli sfili porta il braccio della gru ad avere una maggior capacità di sollevamento.